Under the Florida Constitution, owners of property in the State of Florida are entitled to a reduction in the assessed value of their property for property tax purposes when using the property as their “homestead”. This reduction, called the “homestead exemption,” is available to all property owners who maintain Florida real property as either the permanent residence of the owner or the permanent residence of a person who is dependent on the owner. Florida courts have long held that the “permanent residence” requirement, i.e. that individuals who do not possess the legal right to permanently reside in Florida cannot establish that a Florida property is their permanent residence. Most property appraisers also do not inform about this procedure. 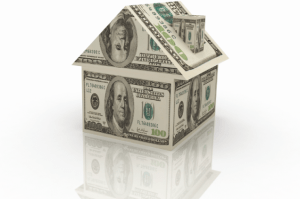 Accordingly, such individuals are not entitled to the homestead exemption. This means that while U.S. citizenship is not a requirement, foreign nationals living in the U.S. on (temporary) nonimmigrant visas (e.g. Employment Visa and E1 / E2 Visa) or even unlawfully, cannot take advantage of the homestead exemption; only lawful permanent residents and U.S. citizens may do so. The Florida Supreme Court held in Garcia v. Andonie (2012) that although a property owner does not have permanent legal status, he or she may still take advantage of the homestead exemption if his or her children or other dependents have the right to live in the United States permanently. Usually this means the children are born in the US and thus being Citizen. As a result of the court’s ruling in this case, foreign nationals who are not permanent residents or U.S. citizens may still be eligible for the homestead reduction in assessed value of real property. To be eligible, the foreign nationals must intend to live permanently in the Florida home with dependents who are permanent residents or U.S. citizens. Unfortunately as long as you don’t have US born children or US dependents within your household and you do not have a Greencard / US Citizenship, you cannot get the benefit of the Homestead Exemption.